SNOW PATROL ANNOUNCE WILDNESS TOUR AND STOP AT HARD ROCK: Snow Patrol, having finished a recent stadium tour with Ed Sheeran, announced they will make a 21-date North American headlining tour next spring and visit The Joint at Hard Rock on Saturday, May 18 at 8 p.m. Show tickets start at $45. 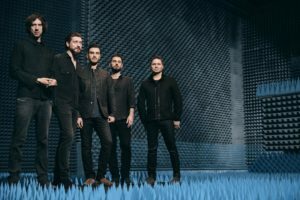 The band’s tour is celebrating their first album in seven years, “Wildness.” To spotlight the album, Snow Patrol has released new music videos and in support Sheeran even performed the group’s song “What If This Is All The Love You Ever Get?” on his Instagram. In addition, the band returned to “The Late Late Show With James Corden,” where Gary Lightbody performed a stirring rendition of the song. 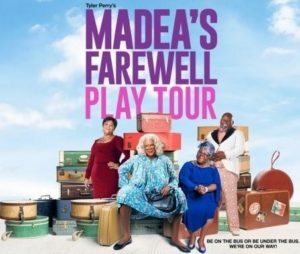 TYLER PERRY VISITS PLANET HOLLYWOOD FOR MADEA’S FAREWELL TOUR: The amazing Tyler Perry, actor, playwright, filmmaker, and comedian, will bring his beloved “Madea” character to Zappos Theater at Planet Hollywood on Sunday, Jan. 27 at 5 p.m. This is Perry’s 21st stage play. He will be joined by Tamela Mann, David Mann and Cassi Davis. Tickets starting at $45. The mega-star has announced his four-month, nation-wide tour of “Tyler Perry’s Madea’s Farewell Play Tour” will be the last. Perry is hanging up Madea’s wig next year, with the expected final stage play and the upcoming film “Madea’s Family Funeral,” being released by Lionsgate on March 1, 2019. DOWNTOWN HOEDOWN IS START OF WNFR: The 32nd Annual Downtown Hoedown on Wednesday, Dec. 5 beginning at 4:30 p.m. at the Fremont Street Experience is the official kick-off party for the Wrangler National Finals Rodeo (WNFR). There will be free live entertainment all evening beginning with Corb Lund on the Main Street Stage at 4:30 p.m. Haley & Michaels will appear on the 1st Street Stage at 5:40 with Granger Smith following at 8:40 p.m. 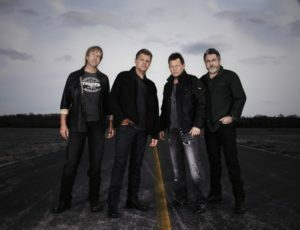 The Roots & Boots Tour featuring Sammy Kershaw, Aaron Tippin and Collin Raye will be on the 3rd Street Stage at 6:30 p.m. and Chris Janson will close out the evening on the same stage at 9:50 p.m.
WNFR ACTION AT DOWNTOWN LAS VEGAS EVENTS CENTER: The Downtown Las Vegas Events Center (DLVEC) will celebrate the WNFR with a week full of country fun Dec. 6-15. The jumbo outside event area will be transformed into a watch party destination featuring nightly live-action viewing zones from 6-10 p.m. with seating first come, first served, country music performances, along with food and beverages being available. Beginning Dec. 6, fans will have opportunities to meet the Wright Family Bronc Riders at the DLVEC’s sister property, the D, which is a sponsor for the family of rodeo stars. Every December, Las Vegas slows down on focusing on the Christmas holiday while the Wrangler National Finals Rodeo (WNFR) comes to town. The ugly holiday sweaters take a back seat to cowboy hats while WNFR runs Dec. 3-16. “Reba, Brooks & Dunn: Together in Vegas” will be a must-see show during WNFR at The Colosseum at Caesars Palace on Dec. 5, 7, 8, 12, 14, and 15 at 7:30 p.m. The two- hour production features more than 30 song hits backed by a 10-piece band with players from both acts touring bands. The stars appear solo and together in the show. Tickets start at $59.50. 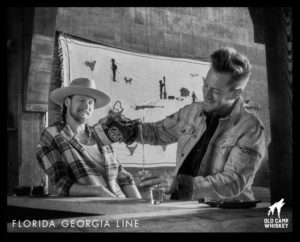 Florida Georgia Line will headline Zappos Theater at Planet Hollywood with special guests Mason Ramsey and Canaan Smith on Dec. 1, 5, 7, 8 and 11 at 9 p.m. Tickets start at $49. 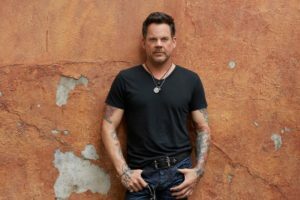 The Hard Rock will jump in with Gary Allan headlining The Joint on Friday-Saturday Dec. 14 and 15 at 9:30 p.m. Tickets start at $39.50. Multi-platinum No. 1 country singer-songwriter Luke Combs from Asheville, N.C., will appear at The Chelsea at The Cosmopolitan on Friday, Dec. 15 at 8 p.m. Combs earned two nominations at the 2018 CMA Awards for Male Vocalist of the Year and New Artist of the Year, and a nomination for Favorite Album—Country at the 2018 American Music Awards. 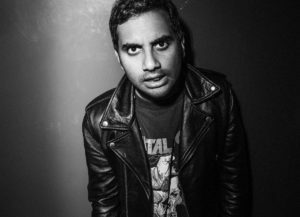 Tickets start at $49 and reserved at $79. On Saturday, Dec. 15, country headliners at The Chelsea will be singer-songwriter Kip Moore and music newcomer Jon Pardi on Saturday, Dec. 15 at 8 p.m. as part of the 2018 Boots on the Boulevard concert series. Tickets start at $49.Golden Nugget will have free live WNFR viewing events Dec. 6-14 starting at 6 p.m. in the Grand Event Center. In front of the room on Friday, Dec. 7 from noon to 2 p.m. will be a Barrel Racers Autograph Session. 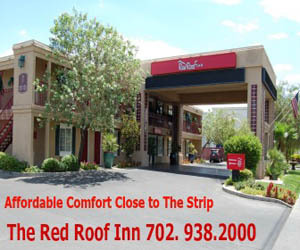 The Golden Nugget always lines up superstar country headliners to perform 10 p.m. shows during WNFR. This year’s lineup includes: Jo Dee Messian Dec. 6; Tanya Tucker Dec. 7; John Michael Montgomery Dec. 8; Ray Wylie Hubbard Dec. 9; Tracy Lawrence Dec. 10; Pam Tillis and Lorrie Morgan Dec.11; Lonestar Dec. 12; Colt Ford Dec. 13; and 11-time Grammy-nominated singer-songwriter Jamey Johnson Dec. 14. The South Point Showroom will feature free shows with country music artists starting with Sierra Black at the NFR Kick Off Party on Wednesday, Dec. 5 from 10:30 to midnight and on closing night Saturday, Dec. 15 from 11 p.m. to 1 a.m. Aaron Watson, independent country star, will perform on Dec. 6 and 11 from midnight to 2 a.m. Bull rider turned country music star Cody Johnson will entertain on Dec. 12 and 14 midnight to 2 a.m.
At the Plaza downtown on Thursday, Dec. 13 from 1 to 5 p.m., 75 performance horses of all disciplines will be auctioned off at the Diamonds in the Desert Horse Sale, a public live horse sale in the Plaza’s showroom. For shoppers, the Rodeo Fashion and Western Arts Expo will take over the convention space at the Plaza Dec. 6-15 from 11:30 a.m. to 4:30 p.m. with 75-plus vendors offering retail western attire.The biggest shopping bonanza with more than 400 vendors is the NFR Cowboy Christmas Gift Show at the Las Vegas Convention Center, Dec. 6-15 from 9 a.m. to 5 p.m. Official NFR and PRCA licensed merchandise can be found at this fair. Admission is free. Other retail options will be the Roper Cowboy Marketplace at Mandalay Bay, The Stetson Country Christmas Western Gift Expo at the Sands, NFR Shopping Experience at the MGM Grand, and the South Point Hotel Western Gift Show. TROPICANA HAS RODEO QUEENS AND BULLFIGHTERS: The Tropicana will be all in for the rodeo. The 64th Miss Rodeo America Pageant featuring more than 30 contestants competing in the areas of appearance, personality and horsemanship will be held the Tropicana Theater Dec. 2-9. The Otterbox Tailgate Party will take place Dec. 6-15 from noon to 2 p.m. in the Bullfighters Only Event Tent, as well as the Bullfighters Only (BFO) Las Vegas Championship daily from 2-3:30 p.m. The BFO is the premier league for freestyle bullfighting, with talented athletes testing their skills, and abilities against equally athletic bulls that have been bred for aggression. The Las Vegas Championship will feature a purse of more than $50,000, with the world champion set to receive an additional $50,000 bonus. Tickets start at $30. The Hooey Jam where you can hang out with bullfighters and recording artists will be daily from 4-6 p.m. in Robert Irvine’s Public House. WNFR viewing parities are from 6-9 p.m.in the Cohiba Ballroom. Gary Leffew’s Bucking Ball® after-party will be held Dec. 7 and 8 from 9 p.m.-1 a.m. with World Champion Bull Rider and rodeo guru Leffew hosting and live music courtesy of saddle bronc rider turned country singer-songwriter, Chancey Williams and the Younger Brothers Band. RODEO EVENTS AT THE ORLEANS, GOLD COAST AND SAM’S TOWN: A myriad of happenings planned at The Orleans, Gold Coast and Sam’s Town. The 3rd annual Rump’s Rodeo Party will be held Dec. 6-15 in the Honky Tonk Saloon at 6 p.m. This WNFR Viewing Party will be hosted by 2017 PRCA Barrelman of the Year Justin Rumford. The National Finals Tonight Show will return to The Orleans nightly Dec. 6-15 at 10:30 p.m. inside the Honky Tonk Saloon. The show will feature rodeo highlights, interviews, and Q&A sessions with the world’s leading cowboys and cowgirls. Admission is free, and prizes will be given away nightly. Now in its 12th year, the Buckin’ Bash at The Orleans in the Bourbon Street Lounge will be nightly at 9 p.m. Host Justin Rumford will welcome a different rodeo celebrity every evening and there will be live country music, dancing and drink specials. There is no cover charge. Bob Tallman’s WNFR Charity Bowling Event will be held at the Gold Coast at 10 a.m. on Saturday, Dec. 8 in the Gold Coast Bowling Center. This fundraiser in its 11th year will benefit the Las Vegas chapter of Speedway Children’s Charities and the Justin Cowboy Crisis Fund. To sign up, contact Paulette Anderson at 702-632-8242. The All In Barrel Race with top bar barrel racing competitors will compete at the Orleans Arena Dec. 6-8, 10-12 and 14-16. The 10-day competition has a guaranteed cash payout of more than $557,000 and $150,000 in prizes. The event is free and open to the public. Start times for each competition vary and are subject to change. 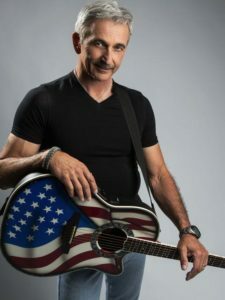 The Orleans will host free and exclusive previews of “Feek’s Vision” at 2 p.m. on Dec. 9 and 12 in The Orleans Showroom, and Dec. 13 in the Honky Tonk Saloon. The documentary by Ken Howie shares the revolutionary story of Chandler Earl “Feek” Tooke and his founding of one of rodeo’s most influential and champion-producing horse bloodlines. “Feek’s Vision” is complete with stories told by rodeo greats. There will also be viewing parties in the Hawthorne Room at Sam’s Town and The Orleans Showroom at The Orleans. Fremont Street Experience is recognizing Hanukkah, Dec. 2-10, with a 20-foot Grand Menorah, which was lit on Sunday to welcome the holiday known as the Festival of Lights. The Clark County Museum on Boulder Highway will hold its free 8th annual Heritage Holidays event on Friday and Saturday, Dec. 7 and 8 from 5-8 p.m. The two-night festival will include holiday music, strolling carolers, a craft tent for children to make their own decorations, an outdoor gazebo with Santa and his elves, and hot cocoa. This is the one chance to visit Heritage Street at night and see the historic homes and buildings lit up for the holidays. “Holiday Follies” will be presented Dec. 5-16 at the Super Summer Theatre Studio Theatre at 4340 S. Valley View. Performances are Wednesday-Saturday at 7 p.m. plus 2 p.m. matinees on Sunday. General admission is $20. The Las Vegas Men’s Chorus (LVMC) will perform a new holiday concert “Sing Noel” at 4 p.m. on Sunday, Dec. 16 at The Space at 3640 Cavaretta Court. Tickets are $20. The chorus will also be collecting donations of hygiene products and other necessities in support of Project 150, which helps local homeless students. SECOND FUSION DINNER EVENT AT TURMERIC FLAVORS OF INDIA: After attending the first fusion dinner at Turmeric Flavors of India downtown, it’s easy to make a positive recommendation. The second cultural holiday fusion dinner “Festive Fiesta” will be held Monday, Dec.10 from 6-9 p.m. at Tumeric. 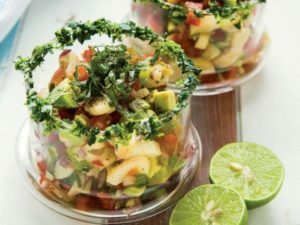 The meal will be presented by vegan chefs, Mayra Trabulse, who will bring on the Latin culture and whose birthday will be celebrated that night, and restaurant owner Ritesh Patel embodying the Indian holiday tradition. Tickets are $49 and include: three-course dinner; celebration cake by Maria Gara from Little Batty Bakery; a mixology demonstration; specialty drink; DJ music, and validated parking. Visit festivefiesta.splashthat.com for information and tickets. Florida Georgia Line will make a public appearance at Virgil’s Real Barbecue at The LINQ Promenade on Saturday, Dec. 8 from 1-4 p.m. with giveaways and Old Camp Whiskey samples; two-for-one special on the Sweet Georgia, an Old Camp Whiskey Lemonade cocktail; and chance to win entry to the meet-and-greet BBQ. The meet-and-greet is a $300 ticketed private event 2-4 p.m., which will include a full buffet and Old Camp Whiskey cocktails. Fifty percent of all ticket sales will be donated to the USO Las Vegas. The off-Strip El Dorado Cantina, an authentic non-GMO Mexican restaurant and bar, has partnered with Avión Tequila to host a four-course tequila dinner at 7 p.m. on Wednesday, Dec. 5. Tickets are $65. The Habit Burger Grill is growing in the Las Vegas Valley as it will open its seventh location in December. The first burger-centric, fast casual restaurant concept made its Las Vegas debut in 2015, and now the company has more than 240 restaurants in 11 states. 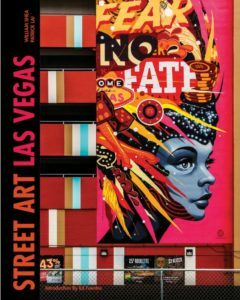 ‘STREET ART LAS VEGAS’ WILL PUBLISH IN 2019: “Street Art Las Vegas,” a new book documenting the art form in Las Vegas’ metropolitan area by local photographers William Shea and Patrick Lai, will expand on their first photo book “Fade to Gray” published in 2015.Their new work takes into account a new public appreciation for the art value of graffiti and street art especially since the 2013 debut of the now annual Life is Beautiful music and art festival in downtown Las Vegas. The three-day event features work by prominent international and local street artists. The 200-page “Street Art Las Vegas” 8” x 10” book contains 252 high-quality full color images. The publication date is scheduled for April 12, 2019. The book will list for $24.99. ORLEANS ARENA WILL HOST NCAA BASKETBALL TOURNAMENT: The Continental Tire Las Vegas Classic, NCAA basketball tournament, will return to the Orleans Arena Dec. 22-23 with eight college teams competing. Each team will play four games with the first two at on-campus sites and the final two rounds at the Orleans Arena. FS1 will present coverage of the third-place and championship games on Sunday, Dec. 23. Game times are noon, 2:30, 5: 30 and 8 p.m.
“Love the ‘90s — The Vegas Show,” which premiered on Oct. 25, featuring Salt-N-Pepa has canceled 10 shows from Dec. 6-17 at the Paris Theater. Dec. 3 is the final performance before the show returns on Thursday, Jan. 17. A rotating cast is expected next year. 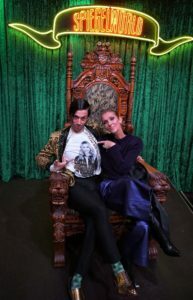 Caesars Palace headliner Céline Dion recently attended the popular “Absinthe” show in the tent outside in front the hotel and afterwards visited with The Gazillionaire backstage. This is a reminder; the Library District Foundation will be hosting its annual fundraising Holiday Book Sale Dec. 6 and 7 from 10 a.m. to 3 p.m. and Dec. 8 until 2 p.m. at the Sahara West Library at 9600 West Sahara Avenue. Admission to the book sale, which includes DVDs, CDs, LPs, etc., is free and open to the public. 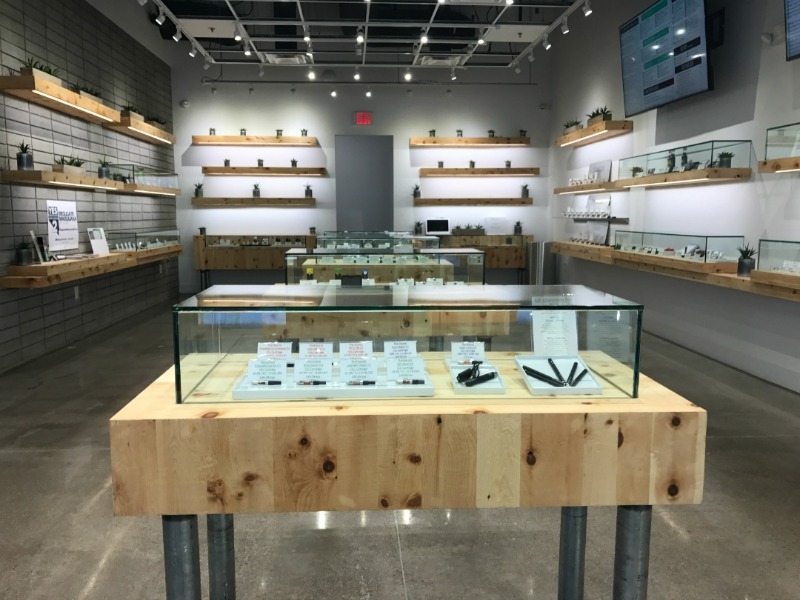 THE+SOURCE CELEBRATES THIRD ANNIVERSARY WITH OPEN HOUSE: The+Source, with two valley locations, will celebrate the third anniversary of its first location at 2550 S. Rainbow Blvd. with a customer event on Saturday, Dec. 8 starting at 11 a.m. The dispensary will offer product specials and feature vendors, merchandise giveaways, live entertainment and more. Cheba Hut, a restaurant with cannabis-inspired menu items in an adjacent storefront from The+Source, will be open for business. In addition, The+Source will unveil its new event space, TreeHouse, in an adjacent storefront with a capacity of 50. Treehouse will host a variety of educational and vendor events in conjunction with the dispensary.